We can also supply and install mirror backsplashes or a variety of panelings. Need a backsplash? We've got the answers from basic to custom, we can supply any type of backsplash for your new countertops. 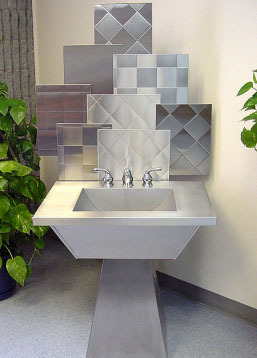 Tile, stone, stainless whatever you choose we can help. Make an appointment by calling 912-233-3593.